We are expanding our support for 3rd party metadata managers – to help our customers get the most out of their existing data governance solutions. 1. Manta Flow crunches programming code based on our supported technologies (Teradata, Oracle, Microsoft SQL and others). 2. After connecting to IGC, Manta Flow will create a new metamodel and perfectly integrate with the existing structure within IGC. 3. The customer can browse IGC as he or she is used to – it’s just going to have way more accurate data lineage ready to use. Seamless integration into IGC is the key to success. 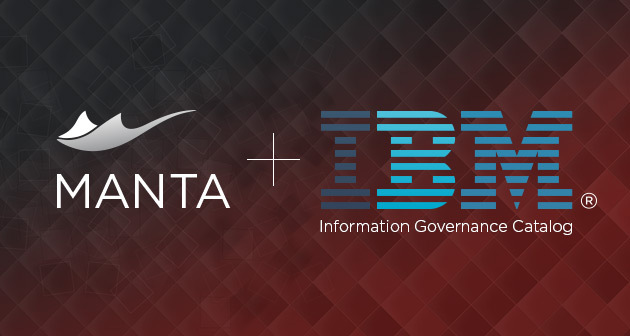 We’ve created a short video to explain a little bit more how Manta Flow is integrated into Information Governance Catalog. And what’s inside? A frinedly suggestion: Run the video on fullscreen. And if you are not ready for IGC, stay tuned, we will soon present you our newest video about our oldest love – IMM. In the meantime, read the introductory article right here. Any thoughts? Comments? Or do you simply want to try it out for yourself? Just let us know at manta@mantatools.com or use the form on the right.